It’s not easy for one to begin talking about their vulnerabilities and all the wrongs–not just the ‘rights’–that they’ve made in their life, personally as well as professionally. When I was ten years of age, my parents went through a divorce because I told them that if they didn’t, I was going to live with my grandmother. I was forced to grow up early because of all that I went through with them. With no one else to give me the good parenting advice that all kids need to thrive, I took charge of my own life. My mother would often say to me, “I am not sure why I tell you no, because you always somehow turn it into a ‘maybe’ then to a ‘yes’.” So, yes, I think I was tenacious then, as I am now, but only when I knew something was the right thing to do. Today as well, that’s when I become laser-focused. One of my favorite sayings is the one below by Alan Lakein. ‘Creating – merging – leading’ is what I most love and this one of many reasons I am passionate about my role as executive director of CASA. I consider myself a highly emotional leader in my environment of serving our mission for abused and neglected children. It’s always been fascinating working with such a diverse group of people – from leadership, staff, volunteers and donors. It’s not easy to work with such different personalities, striving to understand people’s ability to be reactive or proactive, while (even more importantly) recognizing and diffusing or channeling whatever underlying emotions are involved before the situation becomes untenable. I have found doing what is right can have the unintended consequence of ruffling feathers; it’s actually harder than keeping status quo. However, I’m not a complacent person, happy to maintain a situation that can be improved upon. I surround myself with incredibly hard-working staff and leadership who I trust. They, in turn, know I’m there for them, to provide all they need to feel empowered. I continue to mirror my personal and professional life, but after eleven years leading an organization to significant change, I still am seeking greater balance to ensure I don’t suffer burnout and that I make the time to meet with all those who need me the most. I believe it’s imperative that we’re all continually making strides to better ourselves; I am always trying to not only challenge myself, but to better delegate for greater results. There was a time where I was doing much more than I should have ever done, but it had to be done. I didn’t have the money or the infrastructure in place to hire more people. I am a busy person naturally and, because I love what I do, I made it work. However, when my kids began to tell me that all I seemed to be doing was working, I really needed to figure out how to work smarter not harder. It was around that time I went through a divorce. Then, about a year later, I found this incredible man in my life – who I am now married to – who helped me get back my “life and work” balance. I have two healthy and hardworking children who give me so much joy I am overwhelmed with pride and happiness. But to help ensure their balance in life, to improve our lives as a family, I – like so many mothers – had to role-model making hard choices and sacrifices. Those sacrifices not only brought me to where I am today, but my children (now in their early twenties) understand the sacrifices we all made when I went back to school for my Masters. In addition, it was during this time that I happened to meet one of the greatest mentors in my life: Dr. Tom Berliner. He motivated me to be, and do, my best – and to also be okay when things didn’t come so easy … which was often. I was in school, working full-time plus, preparing myself for a divorce, and raising two children – who were always my priority. I’ve taught my children that hard work, determination, and your willingness to be vulnerable while owning your mistakes speaks volumes about your character. Vulnerability is innovation. When we use our anxiety to be better, it challenges us and it empowers our way of thinking and doing. It’s actually quite inspiring! Having the courage to challenge yourself in ways you could never imagine just builds that inner core of strength and competency. For so many, anxiety and fear are two negatives. Having learned to channel them confidently, these former “negatives” now offer me many life-changing beginnings. I ask myself: “Can I actually do what I say I am going to do, professionally … make it work?” And “Can I foresee really great things for my life personally – and for the organization I lead?” The answer is a resounding “yes,” because I surround myself with smart and compassionate people with really big hearts. When I begin to have self-doubt, I immediately look around to my family, my friends, and the team at work. I assess where we’ve been, the potential we have, and the driving force of why I am here today. When you’re positive, your family and team are positive, when you’re feeling optimistic, your family and team and constituencies reflect that optimism. So it’s critical to believe in the overall positive results. 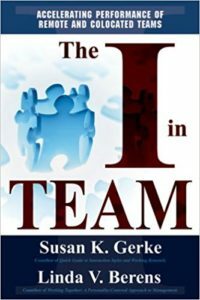 Lastly, we’ve all read great books and The I in Team is one of my favorites. In the context of both our personal and professional lives, it talks about ‘forming, norming, storming and performing’ as we go about establishing relationship – the core of our existence. Relationship connects us with our family, friends, and colleagues. It eventually gets us to perform. 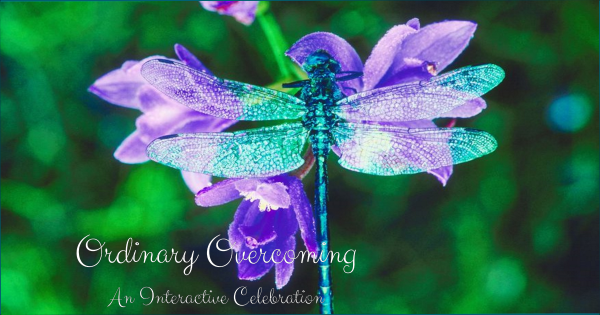 It brings us to understand the journeys and the experiences we all have … that our journeys and experiences are really different – and that’s okay. In fact, this underlies the reason why I’m one of those strange people who actually love conflict. Conflict is a direct way of getting to the root of whatever is wrong and coming to understand the experiences that we all have in our lives that lead us to think or to react in the ways that we do. We all have stuff, we all have been wronged, misunderstood, misquoted, and the list goes on, but we need to be able to learn, love, and forgive fully to have peace and learn all over again. Was I always like this? That’s an easy no. I was actually terrified, but with enough coaching, with an open mind and great intentions, all things are possible. And when they are not so perfect, that’s okay, too.